Raven Black: Book Review by Dinh. It is a cold January morning and Shetland lies beneath a deep layer of snow. Trudging home, Fran Hunter’s eye is drawn to a splash of color on the frozen ground, ravens circling above. It is the strangled body of her teenage neighbor, Catherine Ross. The locals on the quiet island stubbornly focus their gaze on one man- loner and simpleton Magnus Tait. 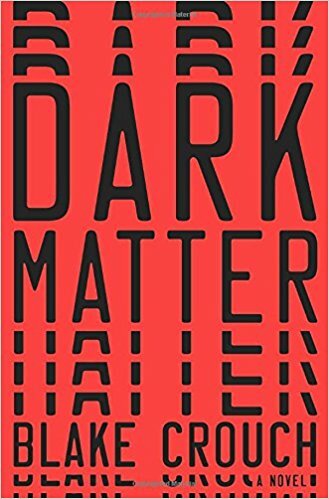 But when detective Jimmy Perez and his colleagues from the mainland insist on opening out the investigation, a veil of suspicion and fear is thrown over the entire community. 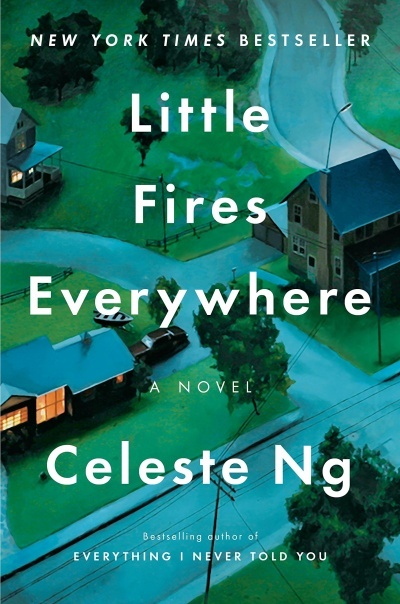 For the first time in years, Catherine’s neighbors nervously lock their doors, while a killer lives on in their midst. Synopsis from hardcover book, 376 pages, copyright 2006 and published by MinotaurBooks. Here’s to finding another new author that I like! 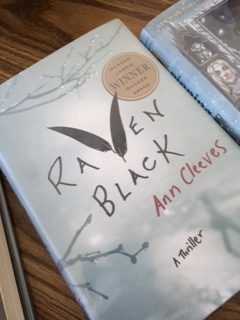 Raven Black by Ann Cleeves was an unexpected gem that I found at the library. 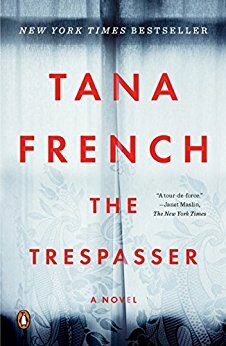 I’ve been reading quite a lot of high octane thrillers this year and was in a mood for a good crime mystery that was compelling. Raven Black, the first book of the Shetland Island Quartet series, hits that spot. 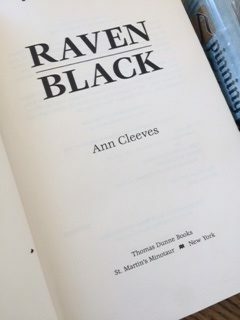 Ann Cleeve is an award winning British crime writer and Raven Black was the winner of the Duncan Lawrie Dagger award 2006. I didn’t have high expectations going in as I was not familiar with the author, and just hoped that Raven Black would be good. Well, it was better than good! I love the setting of Raven Black. It is set in the Shetland Islands, Scotland. Upon reading the inside of the jacket cover, my interest was piqued because the setting was so remote. I loved the Lewis triology by Peter May that was set in the remote Outer Hebrides, Scotland. I love the barren beauty of these places as the backdrop. I really enjoyed the story line. The story starts with Magnus Tait and two girls who enter his house. You know right off the bat that Magnus will be the prime suspect when the murder of a teenager Catherine Ross is found. Magnus is the ‘village idiot’ and fits the bill of a scapegoat perfectly. The local police is not equip to handle this murder and detective inspector Jimmy Perez from the mainland is sent to help with the investigation. Cleeves crafted wonderfully slow boil suspenseful thriller. Slow boil does not necessarily mean that it was bad. It just means that the uncovering of the murderer moved slower. The pacing is pretty much the same throughout the book, with the exception of the beginning. It starts off really slow and even by midway you don’t really have a clue who did it. After the halfway point things do pick up a bit as the investigation reveals more info and the motivations are explored. I liked the tone of the book. It’s very methodical, just like a murder investigation process. I liked the combination of the story line, the setting and the way Cleeves weaves the characters. There were quite a lot of characters in this story. We get into several people’s viewpoints which made the story interesting. It augmented the plot. One of the main characters was Magnus Tait. Magnus is not quite right in the head, though we don’t know exactly why he’s mentally deficient. He’s a bit slow and a recluse so he was bound to be the main suspect. I enjoyed seeing the world through his eyes. Jimmy Perez was also an interesting character. We get to see his viewpoint too. I would have liked to have seen more of his inner workings. I really enjoyed the ending of the book. I have to give a big clap to Ann Cleeves for not letting the cat out of the bag too early. You literary have to get to the end of the book to discover the killer. While I had my guesses, I was incorrect and I love that Cleeves made us think one way and then to bowl us over with truth! I love the twist that I didn’t expect as well. I enjoyed this slow boil suspenseful thriller. 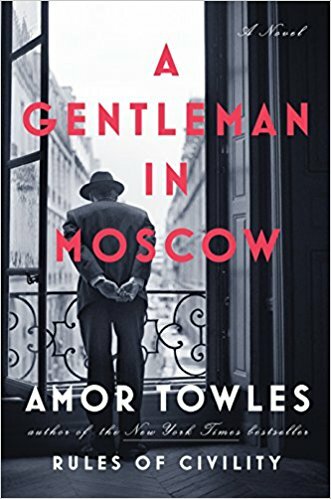 Although the pace was slow at the first half of the book, there was enough going on just to keep my interest until the second half of the book. The book was well written and kept you guessing literally to the end! I am looking forward to picking up White Nights, the next book in the series! Get Raven Black Or listen to the audio book, free with an Audible trial. Discover your next great mystery/thriller! 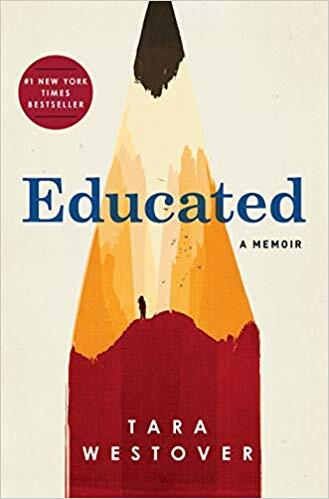 I don’t know how it’s handled here, but in general I wish books would be more careful when it comes to portraying characters with learning disabilities! When it comes to a scapegoat, characters with disabilities are always the ones that get put in the spotlight, especially in crime novels. Magnus in this book was more of a plot device to throw you off the actual killer. I didn’t think it was him but it did give another outlook and more clues. This is a slow burn crime novel so perfect for winter nights with a nice hot drink!